Indianapolis - The Military Times placed Indiana University-Purdue University Indianapolis on its “Best for Vets: Colleges 2014” rankings. The rankings, released on Veterans Day, recognize colleges for their commitment to America’s veterans. They are based on a 150-question analysis of a school’s complete offerings for veterans. Best for Vets provides servicemen and servicewomen a gauge by which to judge whether a school or degree program will truly benefit them. The rankings factored in service member enrollment, percentage of tuition covered by the GI Bill and availability of specific programs to help service members. The full rankings include 86 four-year schools, 20 online and nontraditional schools and 14 two-year schools. They are being published in the November issue of Military Times EDGE magazine, the premier publication for military transition, and online at MilitaryTimes.com, as well as ArmyTimes.com, NavyTimes.com, AirForceTimes.com and MarineCorpsTimes.com. In addition, the top 30 four-year schools, top 10 online and nontraditional schools, and top 10 two-year schools are compared in the issues of Army Times, Navy Times, Air Force Times and Marine Corps Times on newsstands the week of Veterans Day. 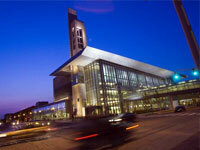 IUPUI placed 83rd on the list of 86 four-year schools. The listing is the latest recognition of IUPUI’s commitment to veterans. Last month, Indiana University Bloomington and IUPUI, along with four regional campuses, a regional education center and a program within the Kelley School of Business, were named 2014 Military Friendly Schools by Victory Media Inc., a veteran-owned business that publishes the annual list.